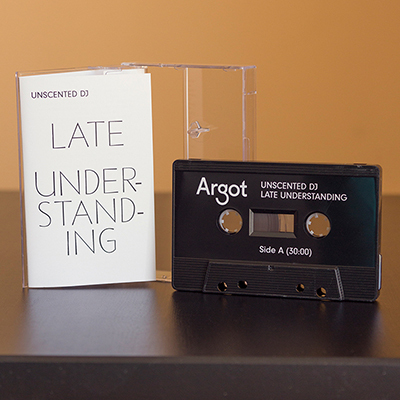 Argot offers the first entry in their mixtape series highlighting DJs who don't produce music. "Late Understanding" by Unscented DJ is a mix of inter-genre downtempo, composed entirely of records he's come across while away from his computer's keyboard. Each tape in the series will include a piece of writing by the DJ, which in this case is a single poem. 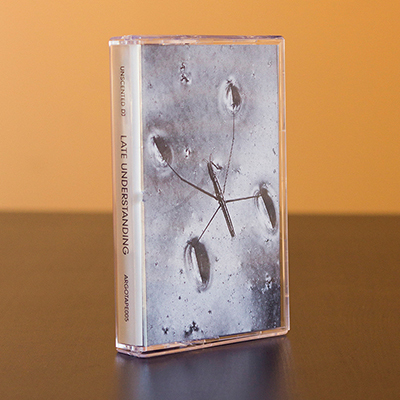 The tape was designed by Bryce Wilner and includes a download code for the full mix.